Shin Megami Tensei IV is coming out in Japan this May, and to mark the event lucky Japanese fans will also have the chance to pick up a rather fetching limited edition 3DS XL (or LL as it is known in that part of the world). The release date is May 23rd, to coincide with the stand-alone game. People who pick up the first-print edition of the game will also recieve a special "Sound and Art" collection bonus, whatever that may be. I really can't wait for the Wii U to go through a honeymoon period like the 3DS is having this year. 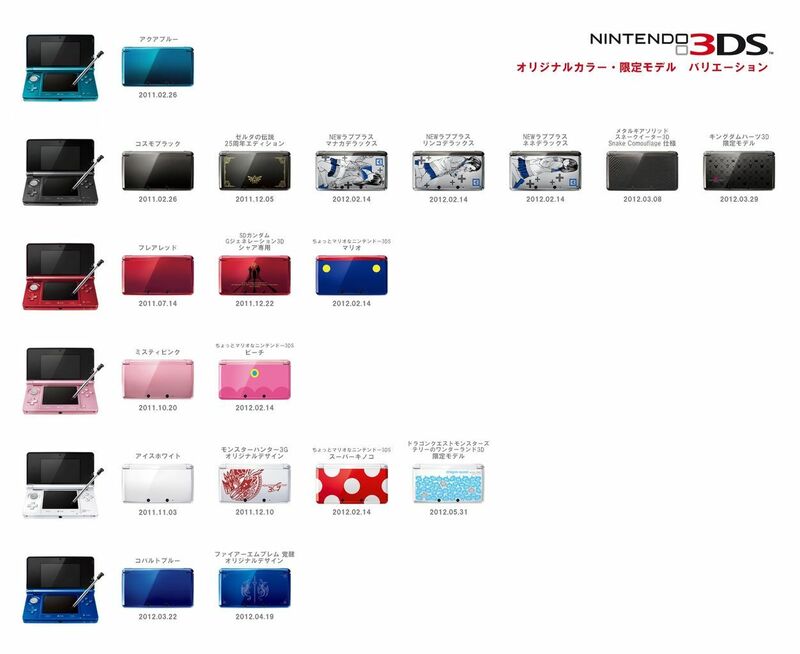 All the awesome 3DS's are always for Japan... no fair. It's crazy the amount of limited editions JPN get compared to Europe. 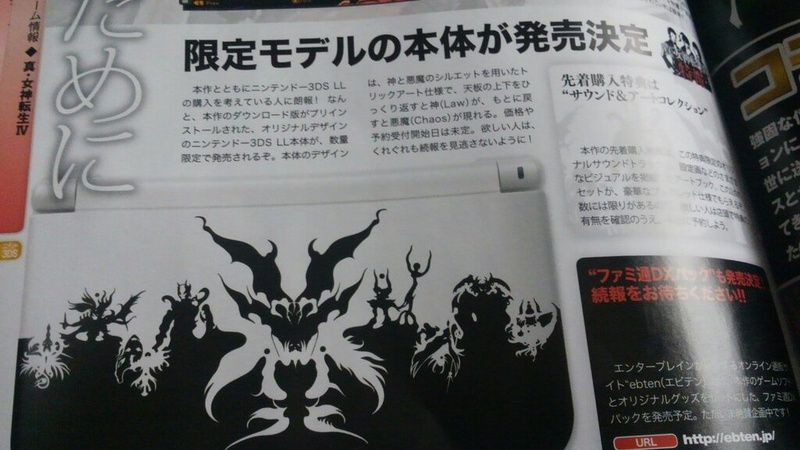 Where is our Monster Hunter design or the Dragon Quest one? And that's non-XL's only. We get too few and most of the times the ugliest. What the . . The design is crazy cool man. If this jumps the pond, I'll upgrade to an XL. No Nintendo, it's not as if we actually want one of your various cool bundles, were fine with the 3 we have in America ._. what about america? come on.